During the third edition of the Silesian Science Festival KATOWICE, which has taken place on 12th and 14th January 2019, we have hosted extraordinary guests – personas of the world of science. One of them was an American NASA astronaut, Nicole Stott. Although Nicole's activity is not limited to space alone, it is usually although related. 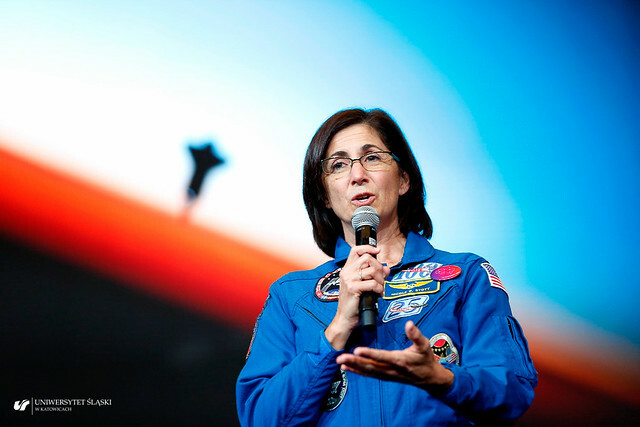 Apart from being an astronaut who participated in two flights with the space shuttle Discovery and stayed on the International Space Station (ISS) for over 100 days, she is also an aquanaut, social worker and artist. Moreover, she was the first person to paint in space, during her stay at the International Space Station. 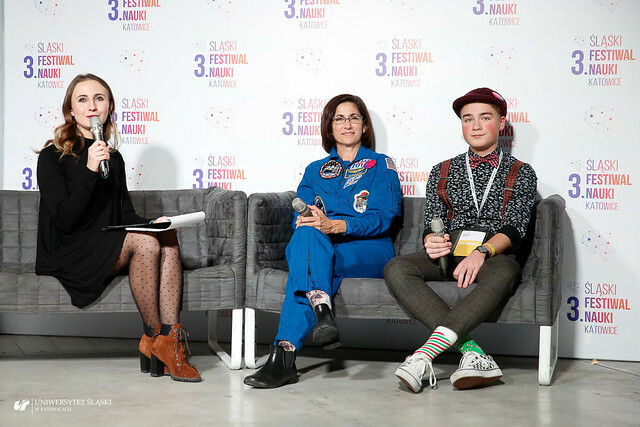 During the 3rd Silesian Science Festival KATOWICE Nicole Stott gave 2 inspiring lectures and had 2 meetings in the Space Zone of the Festival, which generated the incredible interest among the audience. The meetings in the space zone were translated by the volunteers – Mikołaj Deja and Aleksander Feruś.